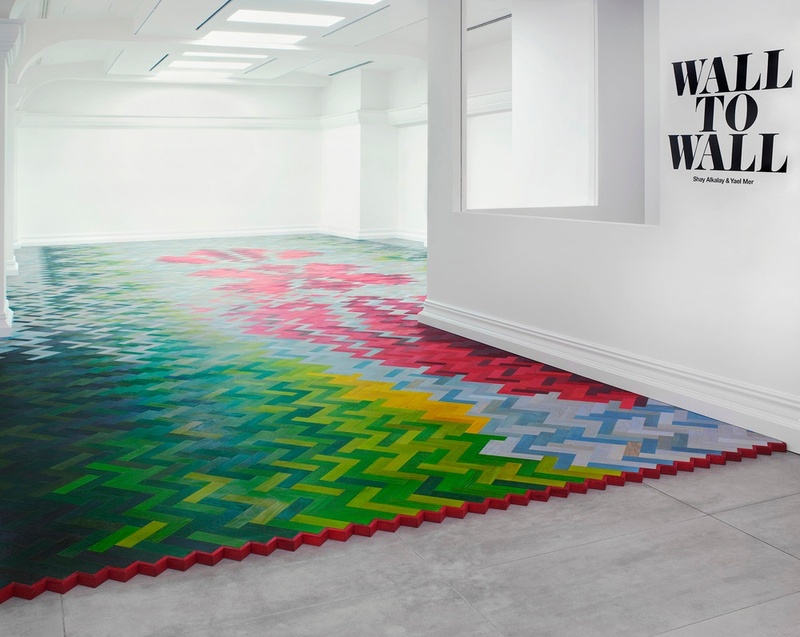 Originally inspired by a textile scarf, the exhibition 'Wall-to-Wall' experiments with colour, textiles and flooring. 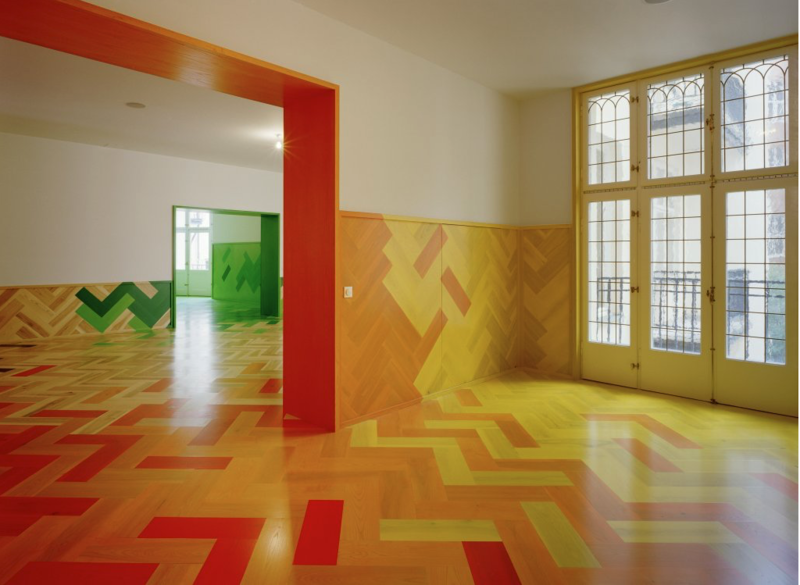 Using off-the-shelf parquet slats, Yael Mer and Shay Alkalay started dying from a pallet of fifteen different colours which they then composed as a herringbone weave. Here, spectators are allowed to walk on the artwork... which is quite unique and personal. 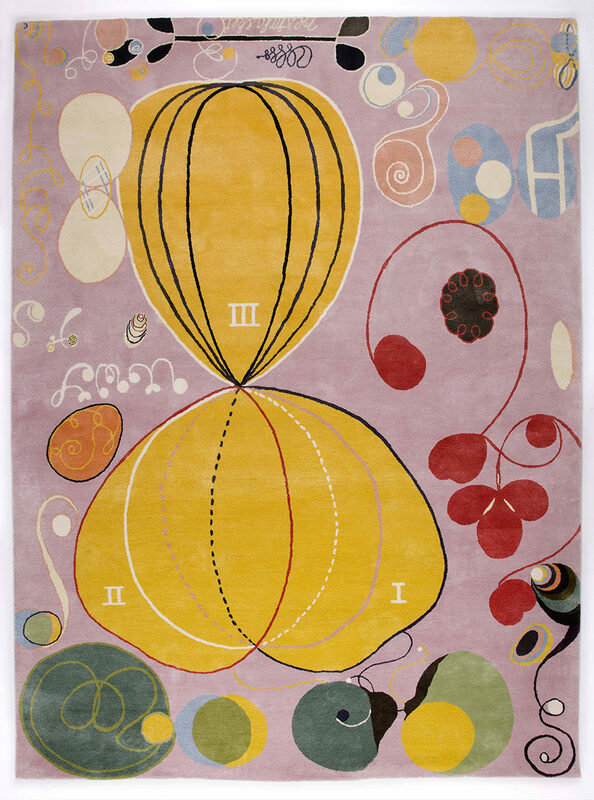 2. hilma af klint, rugs, asplund. Not quite flooring but incredible rugs. 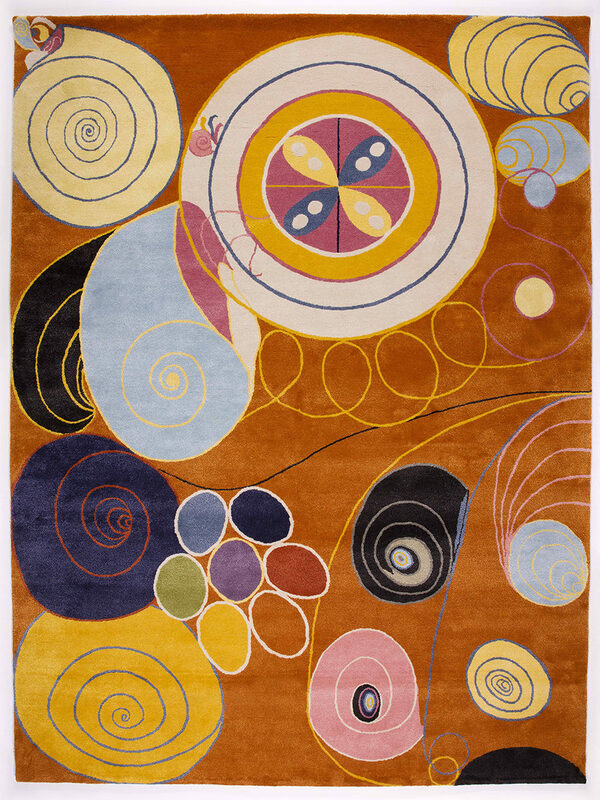 Asplund in collaboration with the Swedish art gallery CF Hill has produced a series of Swedish painter Himla af Klint's celebrated paintings of abstract imagery. 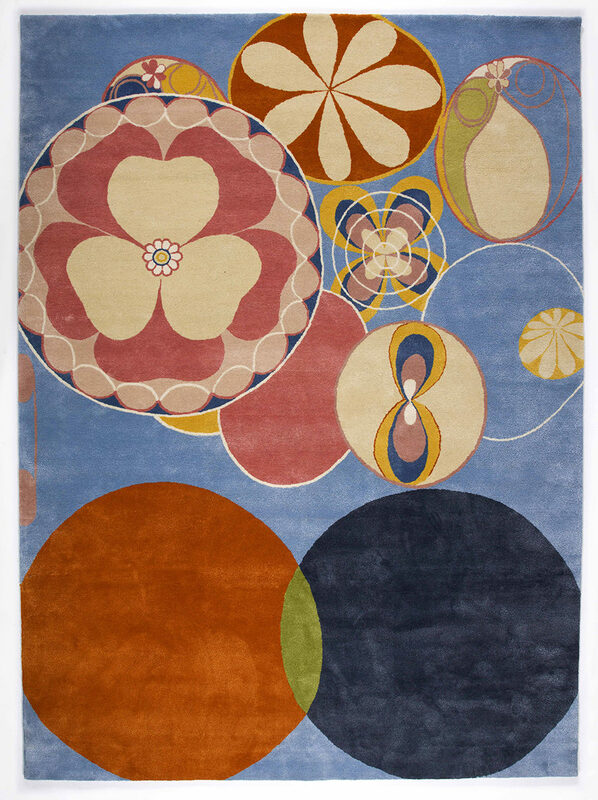 Placing one of these rugs on a flooring surface is simply putting an artwork on the floor... wow. 3. humlegården apartment, tham and videgård architects. 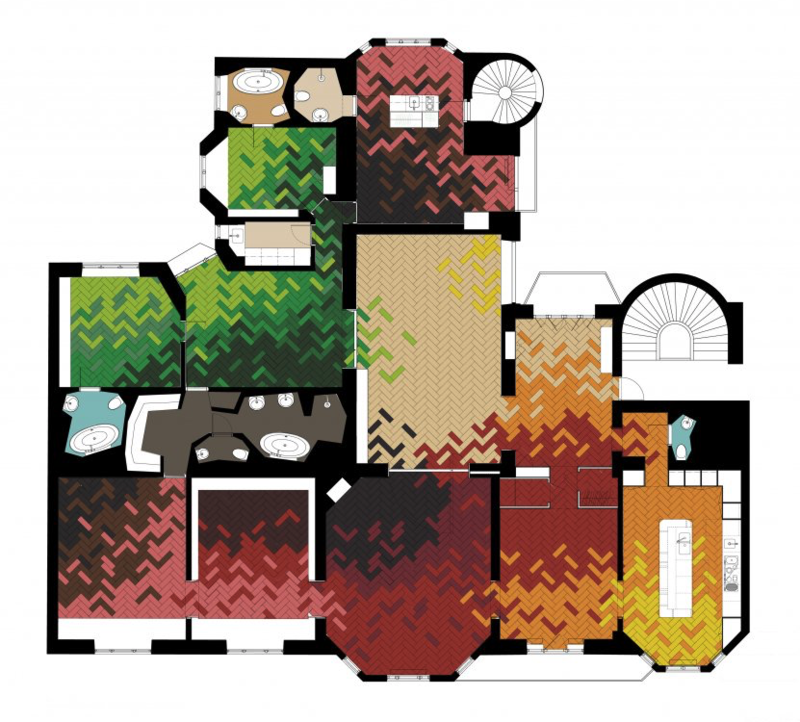 A few years back, Swedish architecture studio Tham and Videgård created an apartment design for a Swedish residential space in the centre of Stockholm. Playing on the traditional, Scandinavian concept of wooden floors, this apartment is inspired by its location next to park humlegården – resembling the massive greenery outside. Light and colour change has been inspired by the Swedish seasons, ranging from grey and black to vibrant hues of deep greens, orange, red and yellow. More than a surface, flooring truly allows for creative expression. Looking for more inspiring flooring? Explore Bolon's most popular design projects here.